Secretary-General Ban Ki-moon today welcomed the agreement reached between the Government of Sudan and the Sudan People’s Liberation Movement (SPLM-North) on political and security arrangements for Blue Nile and Southern Kordofan, two states along the country’s north-south border. “The Secretary-General commends both parties for the political will they have demonstrated in reaching the agreement,” his spokesperson said in a statement. Under the Framework Agreement, signed yesterday in the Ethiopian capital of Addis Ababa, the parties will form a Joint Political Committee to address all relevant issues related to Southern Kordofan and Blue Nile, both of which were supposed to hold popular consultations on their future in accordance with the Comprehensive Peace Agreement (CPA). 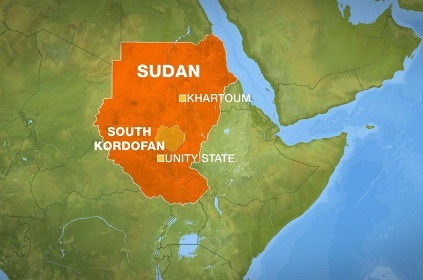 The interim period of the CPA – the historic 2005 accord that ended the decades-long north-south civil war in Sudan – is due to end on 9 July, which is when Southern Sudan officially becomes independent after the referendum staged in January. Among other provisions, the agreement states that southern-allied fighters in the north should be integrated into the northern army or disarmed. It adds that the two sides should begin working on a ceasefire and allow humanitarian access into Southern Kordofan, where at least 73,000 people are estimated to have been displaced in recent weeks due to fighting between northern and southern forces. Mr. Ban urged the parties to use the momentum created to conclude a cessation of hostilities in South Kordofan without delay, according to the statement. “The Secretary-General calls on the parties to ensure the protection of vulnerable civilians and full humanitarian access to those in need in South Kordofan,” it adds.